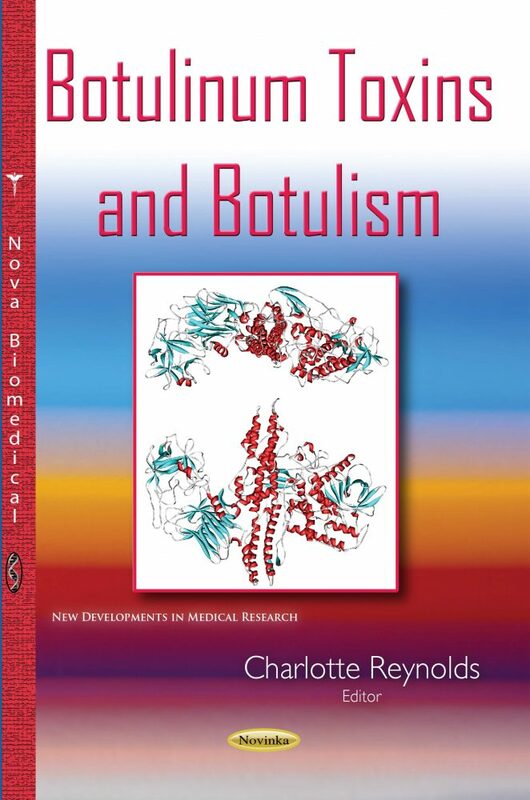 Botulinism toxins are widely used for the treatment of medical and aesthetic disorders. They are considered the gold standard for the treatment of muscular spasticity and facial dynamics wrinkles. The authors’ of this book discuss botulinum toxin resistance in medical and aesthetic arenas; recommendations of dilutions for treatment applications (general recommendations were to inject the toxin diluted, because highly concentrated toxins were believed to be more toxic and dangerous); a novel methodology of transdermal delivery of botulinum toxin with the aid of a dermic pen for hyperhidrosis; emerging treatment options for lower urinary tract symptoms that involve a bladder neck injection of a botulinum toxin; and a discussion on the cases of botulism that arise from consuming certain foods particularly in the Arctic regions.